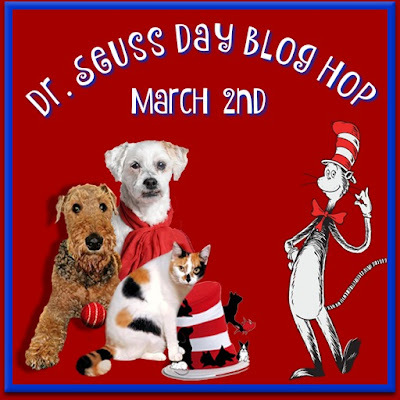 LLB in Our Backyard: Coming Soon - The Dr. Seuss Day Blog Hop! Dr. Seuss Day on March 2nd!! 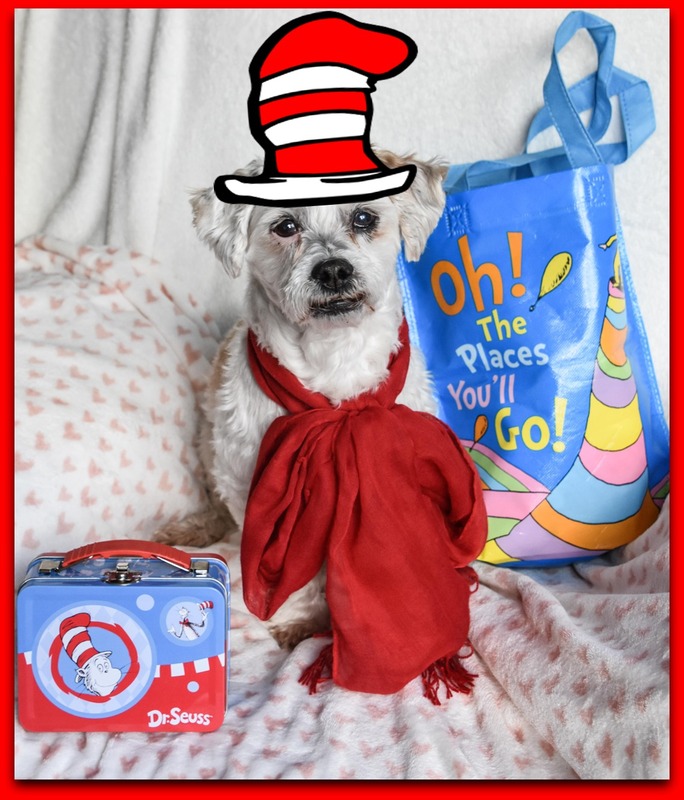 We can't WAIT to see your tribute to Dr. Seuss! 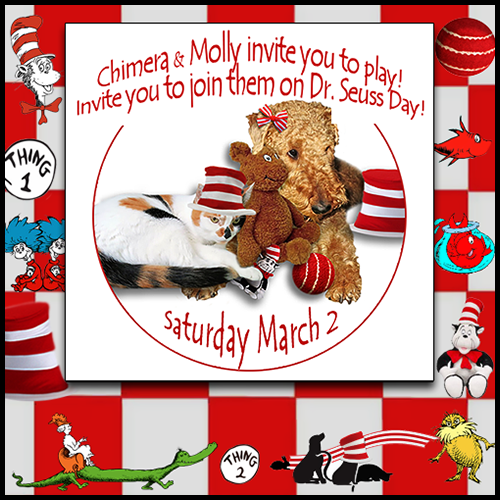 I am so honored to be a poster girl with Chimera for Dr Seuss Day. I love Dr Seuss! What a bummer it is on a Saturday. 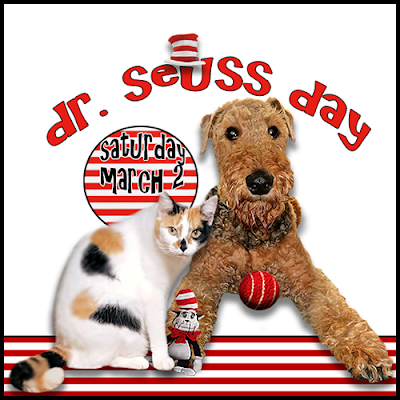 We will have to see if we can join because we are also traveling that weekend, but we love Dr Seuss. I loooooooooooooooooooove Dr. Seuss!! I might have to do a Madi Flashback. She had some good ones. Hope one and all join in too! We love the good Dr. We'll have to see if we can get a post up. This sounds like fun. Hopefully we can get our mom to help us participate. We hope this fun day does not leave the lady's mind, if it does we will not treat her kind! We love Dr. Seuss Day! Thanks for the reminder! Every day is rather "Seussical" at our house, so it's a natural for us. Oh boy, Dr. Seuss Day. Woof, woof! Should be fun, hope mom is in town then to help us out. Oh boy, that sounds like fun!